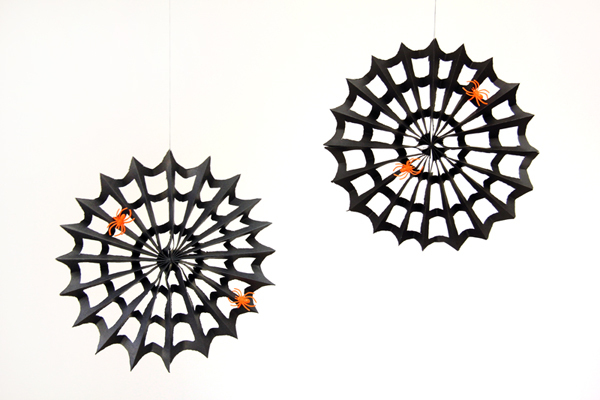 These fun paper spider webs are the perfect DIY Halloween party decoration. With Kelly's easy to follow picture tutorial and a few fun store bought plastic spiders you will be all set to decorate your Halloween dessert table. You can check out how to make these DIY paper spider webs over at This Heart of Mine. I LOVE these! Thinking about making some for a Halloween Party! Thanks for sharing them!